By the end of our trial weekend with the Parental Unit, we simply couldn’t live without it. Our poor Stevie bag has sat untouched ever since. 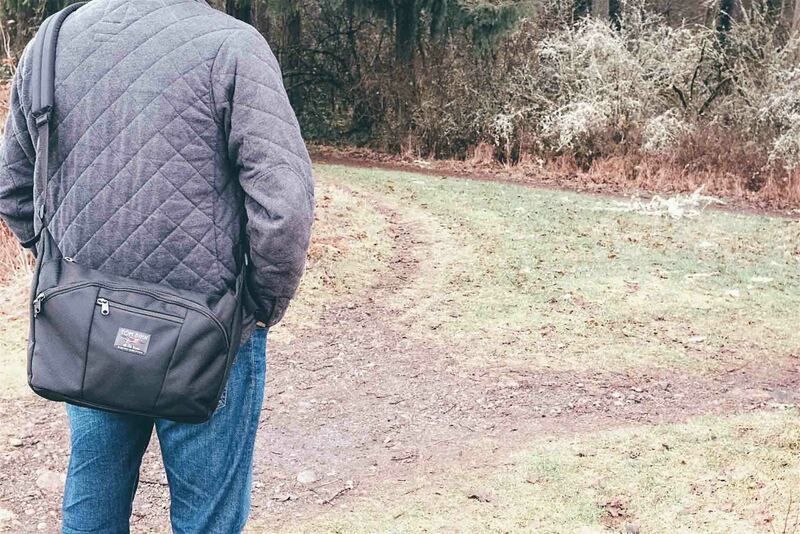 The market for diaper bags is pretty flooded — there are trendy diaper bags, designer fashion diaper bags, tiny diaper bags, giant diaper bags, giant purses people try to make “work” for diaper bags, and totes. 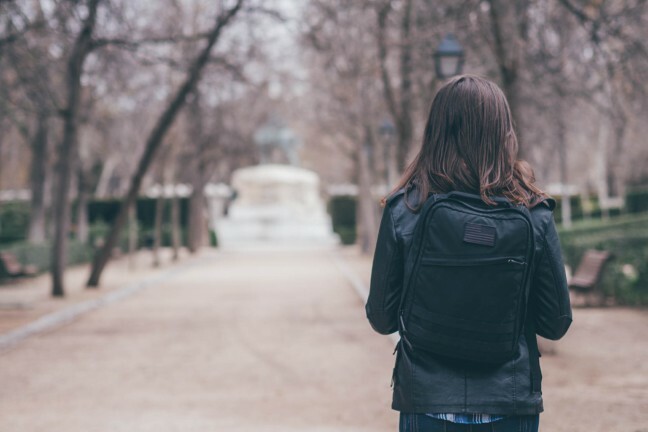 Some people don’t want a “diaper bag” and opt for a regular messenger bag or a good old backpack instead. 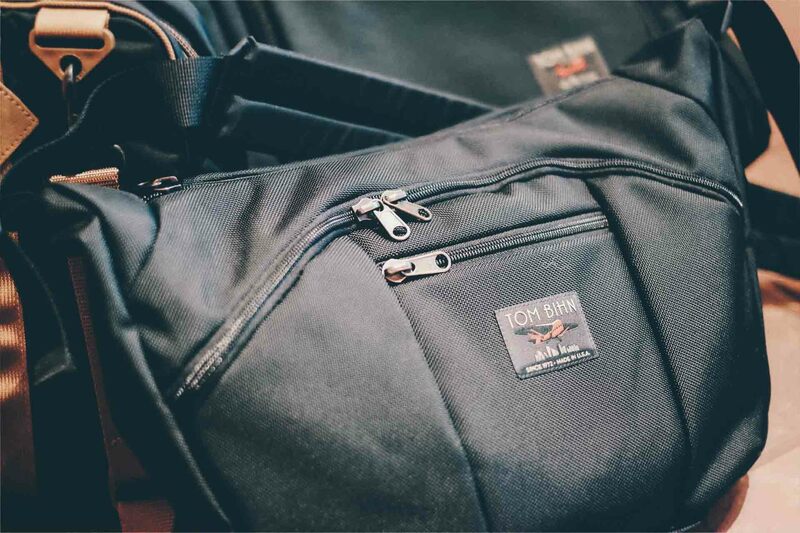 After trying numerous bags, the Tom Bihn Parental Unit ($140) has become my family’s go-to bag. 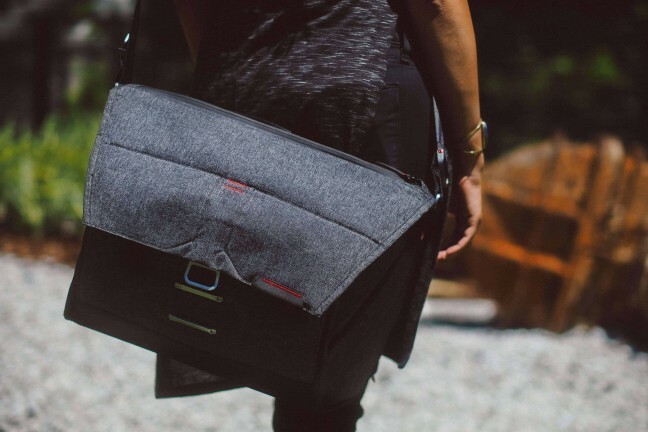 Initially, I wanted a functional, true diaper bag, but one that fit my fashion sense. I went with the ever-popular Kate Spade “Stevie” style diaper bag. It was cute and had an attractive pattern, a nice travel-sized changing pad inside, a zip pocket, some compartments, and a stroller strap. It was awkward and bulky on my shoulder because of its very short straps, but I just figured it was as good as any diaper bag could get. The alternative was the backpack my husband Ben preferred to carry, and I am just not a backpack kind of gal. After our second daughter was born, my Stevie bag was getting pretty jam-packed. 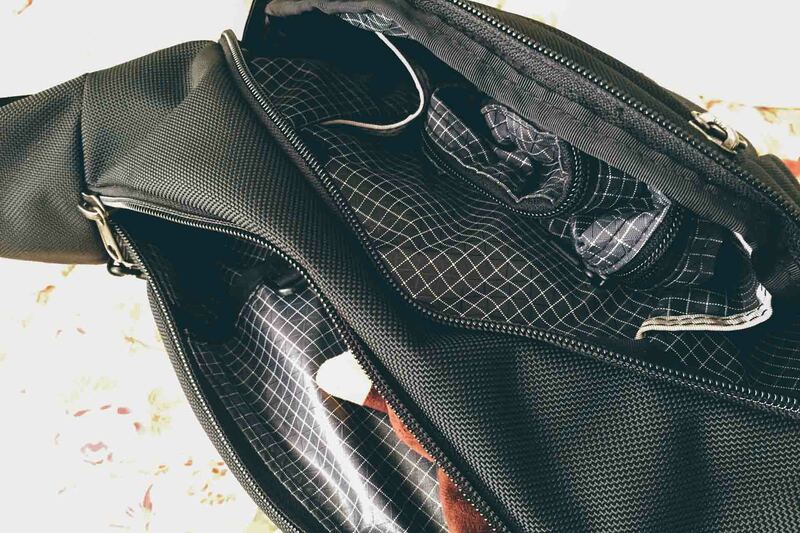 So when my husband got the much-smaller Parental Unit to try out, we took it as our only diaper bag for a long weekend trip with our baby and young toddler. At first, I was skeptical. It looked way too small to hold enough stuff for two kids. It also wasn’t as “cute” looking as my Stevie bag with its fashionable pattern, but I did immediately like that it was completely gender-neutral, and both Ben and I could wear it without feeling silly or awkward. It’s a really nice-looking, streamlined bag. The Parental Unit has no problem holding a changing pad, diaper cream, wipes, pacifiers, a change of clothes, and a few other small items. The amount of stuff it fits inside is insane. 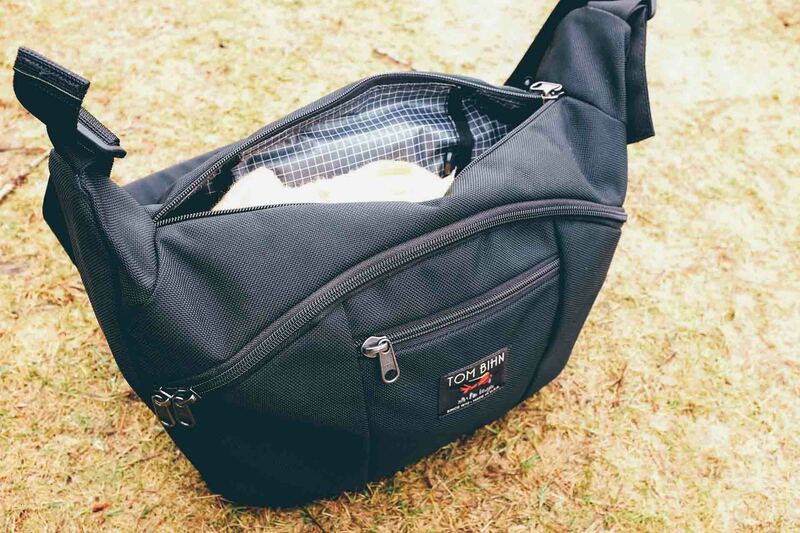 The bag is set up with a main center area (divided into four compartments) with a zip top. There are also identical zipped compartments with dividers,on either side of the main center compartment. 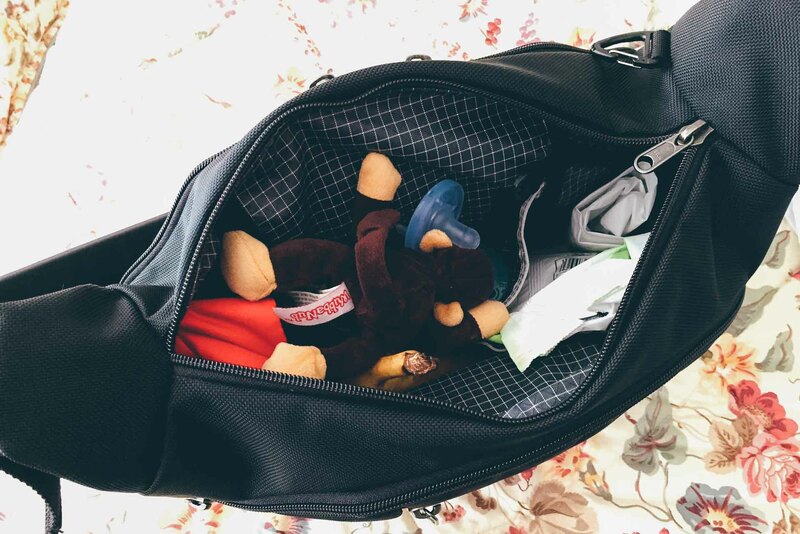 We set our bag up so that the center area holds our rolled-up travel changing pad (swiped from the Stevie bag), diaper cream, wipes, pacifiers, Boogie Wipes, a Zoli cup with water, extra changes of clothes for both girls, my wallet and phone, and anything else we might need. One of the side compartments exclusively fits diapers, and quite a few of them at that. It also holds hand sanitizer, gallon ziplock bags, and underwear for our potty-trainer. One compartment exclusively holds diapers. The opposite side is exclusively for snacks. Any parent on the go knows how crucial snacks are with a toddler in tow. The best part? All of these items fit no problem. I love that it zips up and keeps everything securely inside with great organization and no overflow. The last side compartment can be used to hold many things, but we use ours to hold snacks for the kids. 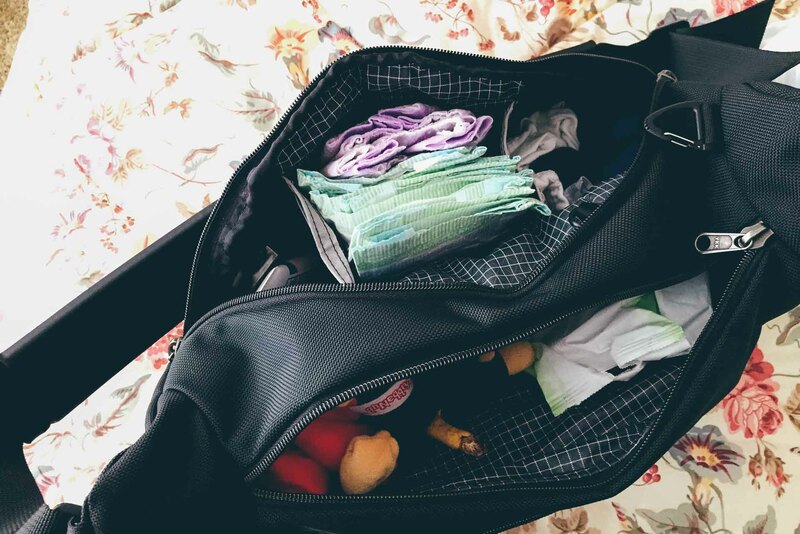 The organization also means the endless digging around in the unknown depths of the bag in search of a binky to pacify a screaming baby, or the quick need for more wipes when dealing with a blowout situation, is history. I can find anything I need in that bag in roughly two seconds or less. The Parental Unit has a great shoulder strap that doesn’t dig into your skin. The Parental Unit is very comfortable to wear. We have the optional Q-AM padded shoulder strap and I like that it doesn’t dig into my shoulder. I have had no problems with it slipping if I wear it on one shoulder instead of draping it across my body. 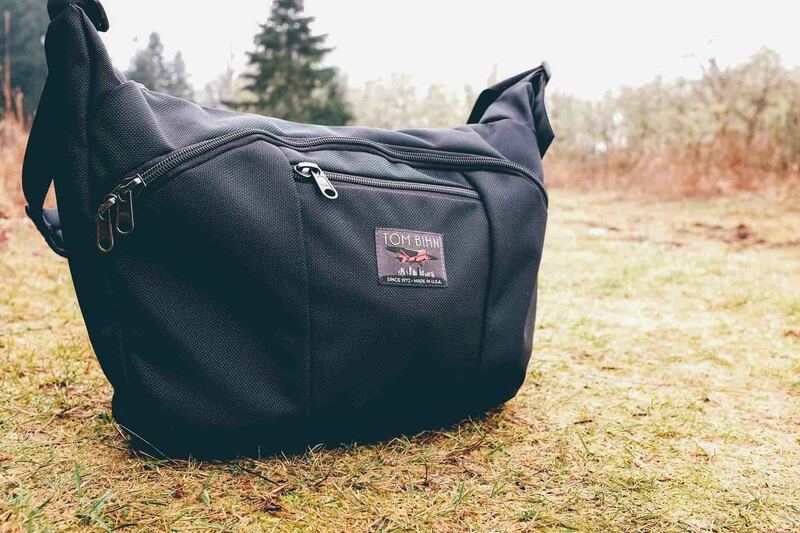 The bag is also lightweight and not bulky at all. I can wear the strap across my body like a messenger bag and turn it so the bag is behind me. This allows me to easily carry my kids through a crowded restaurant full of tables without bumping diners with my bag. When I get to the restroom, I no longer have to search for a safe place to hang my bag — this is especially helpful when trying to balance my wiggly little one and simultaneously change a diaper. Both my hands are free and all I do is slide my bag to my hip, grab my changing pad, a new diaper, and go about my diaper-changing business. It’s so much easier to do public restroom diaper bag changes with the Parental Unit. The fact that the bag is hands-free makes a huge difference with two little ones in tow. I truly wonder sometimes how I previously carried my shoulder diaper bag and an infant carseat carrier all while escorting a young toddler on outings alone. It wasn’t fun, and this bag has changed that sweaty shuffle completely. It also cleans up easily. We recently went out to dinner and managed to dump food and drinks on it three separate times. 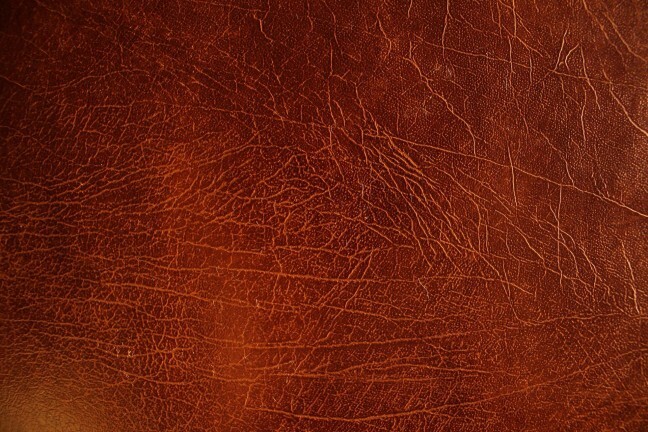 It wiped up completely on the spot with a baby wipe and no stickiness or stain remained. That is family-friendly. There are a few things I do wish the bag had that it doesn’t. I wish it came with its own travel changing pad, but those are pretty easy to get separately. I wish it had a stroller strap or some kind of stroller clip. It’s fairly easy to keep on my person when pushing my double stroller, but it would be nicer to be able to drape it on my stroller and have easy access to it hanging beneath the stroller handle. I wish it had a designated cup or bottle holder. While the Zoli sippy cup fits inside, it has leaked a few times because it’s not in a true designated cup holder. Lastly, I wish there were a few simple patterns available for the outside of the bag. What can I say? I love options. I wonder if it’s big enough for multiples in the newborn stage, but it’s definitely big enough for everything we need for our two girls while remaining nicely compact. Oh my! – this bag is amazing! Thank you so much – I can’t believe how much it holds!